What is the difference If I will be accredited as an associate of a company-owned MC or franchise? Once accredited to a franchise or MCO, you will be able to enjoy the facilities, events and activities of the MC you signed up with. The only difference is associates of MCOs also get to use the facilities of all company-owned Market Centers. You can choose to be accredited in the market center where you think your real estate profession will grow. I already have a realty and would like to retain the company name but I would like to be a KW associate. Is this possible? You can be accredited as a broker associate of Keller Williams but you may not use the KW brand together with your company name. However, if you choose to franchise an MC, retain your company name and use the KW brand, the logo may be used together with your company name upon approval of the Marketing Manager. If I migrate to the United States or Canada, can I join a market center there? Yes, you can. Once you have completed your application to a market center in the US or Canada, we can facilitate the transfer of your BSA. This applies only to associates who are active or have been active in the last 9 months. Why do I have to pay annual and monthly fees? The annual fee and monthly payments are just pass-on fees which we remit to our service providers monthly for our systems and annually for the renewal. Can I put up my franchise anywhere in Metro Manila? No. We have already drawn up and plotted areas allowed to have a Keller Williams franchise depending on market size and demand. For example, in Makati there are already three existing market centers. In QC, there is currently one market center but there can be a total of two in the city. How many market centers are allowed per city/area? It depends on which city/area. The Regional Office has identified these areas. Do we need to use the Keller Williams brand in incorporating the business? No. You may use a business or legal entity name then the Keller Williams brand may be added as a DBA or Doing Business As. What is the difference between Keller Williams and other real estate companies? Keller Williams provides continuous real estate trainings to agents. Another edge is that KW has technologies agents can use as tools on lead generation, listing properties, selling and monitoring transactions. 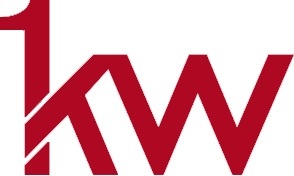 Keller Williams lives up to the values that maintain the integrity of all KW agents. Can we be a member of one or more market centers? Yes, but you will be billed separately to each of the market centers. Keller Williams is the world's largest real estate franchise by agent count. As of 2018, it has more than 975 offices and 186,000 associates. The franchise is also No. 1 in units and sales volume in the United States. It was founded in 1983 in Austin, TX by Gary Keller and Joe Williams. 11. What is my advantage as a Keller Williams Agent? Keller Williams is an international Real Estate Company known to 35 regions all over the world. KW has topped in terms of Agent count and sales volume in the USA which proves the effectiveness of the company model. KW molds each agent to be a top selling agent with the technologies and trainings. 12. There is a non-KW broker involved in closing one of my resale/lease transactions. Do I have to declare it to my MC? You may still transact with non-KW real estate professionals and agree to split the proceeds. The professional fee of the KW associate should still be declared to his/her MC and is subject to applicable fees. 13. I met my client from another portal like Lamudi or my own postings in my social media accounts. Should I still have to declare it in KW? Upon signing an agreement with KW, you commit to declare all transactions regardless of the source of your lead. 14. Is there any support we can get in terms of documentation when we close a transaction? Your Team Leader will assist you in every transaction so you can focus on selling. In case there is a need to outsource documentation services, we may also recommend a third party. 15. If I have a client who wants to buy a property in the USA, how will that work? How much commission do I get? We will refer you to a Keller Williams associate in the area of your client’s choice and that associate will work on the sale. The usual cut for referrals is 25% of the commission but of course it is negotiable. 16. Can I list a property without holding an ATS? KW is strict on the exclusivity of the properties we handle. Agent must make sure all properties that the seller signs an exclusivity agreement. Not having an ATS means that other brokers may sell the property which may cause future complications. 17. Are Market Centers allowed to sell or lease properties outside their territory? 18. The location or territory of one market center does not limit their associates from selling properties and recruiting people outside of their territory. The purpose of the territories is to limit the number of market centers in the area. 19. Who approves the uploaded listings and how long does it take to be approved? The GM of each MC checks and review the listing everyday. Within 24hrs the listing should be reviewed and approved. In case there are corrections or concerns, the GM will contact you. 20. Is our commission subject to withholding tax? And/ or Evat? e. For resale, and if the property seller requires a receipt, the KW Associate should clearly define the taxation in the Listing Agreement. The commission rate agreed in the Listing Agreement should be clear if VAT is included in the rate or VAT needs to be added at the time of the commission release. 21. When do I pay my renewal fee? upon due date will mean intention to discontinue and deactivation from the System.